Watch Marc Emery’s response in an interview to a recent police incident at Cannabis Culture… initiated by his own landlord. 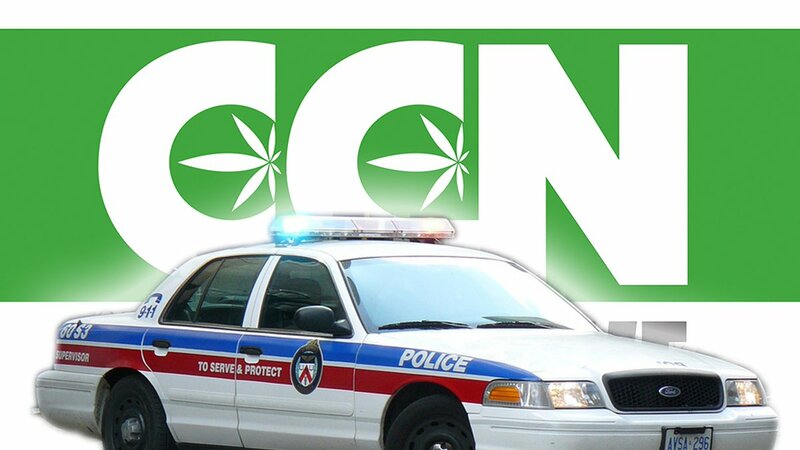 The newest location for Marc Emery’s famous Cannabis Culture dispensary brand has attracted attention this Friday when the Toronto Police surrounded the premises. But unlike the recent trend that has been sweeping Canada’s biggest city, the Police were not there to seize cannabis. The landlord of Cannabis Culture is apparently trying to defraud Emery by claiming that selling cannabis is against the rules of the lease. You can check out Friday’s interview with The Prince of Pot below. Since the police were on scene for a simple eviction notice, Emery locked himself inside for 3 hours as the police attempted to attain a warrant. And after they left, Emery reopened the door to let in some supporters and advocates who were watching the event unfold. Emery believes that the landlord called the police in an to attempt to evict Emery’s business from his building. Apparently, the landlord has been out to get him since day one. He even changed the locks on his front door multiple times during the first couple weeks of business. Talk about being passive-aggressive and childish. For whatever reason, Emery’s landlord despises his business and is desperately trying to find a way to end the lease. Despite the fact that Emery had clearly discussed that the business was a dispensary, his 5-year lease doesn’t look like it will last with a landlord with this kind of personality. It’s very specific, there’s no mistaking that this is supposed to be a pot shop, a weed store. What do you think of the behavior of this landlord? I know I’d be honored to have a Marc Emery business in one of my buildings, so what do you think this guy’s motive is? Share with us on Facebook, Twitter, or in the comments below.